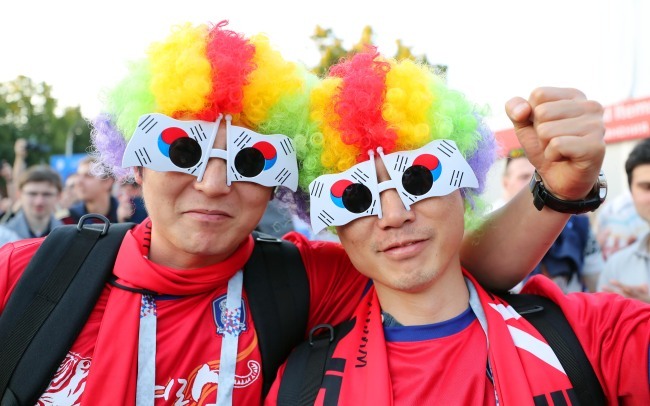 The World Cup season is here again, and South Koreans are gearing up to cheer for the national football team ahead of the big match against Sweden which kicks off Monday at 9 p.m.
South Korean football fans are well known for their distinctive street cheering culture, which features red clothing and cheerful songs. 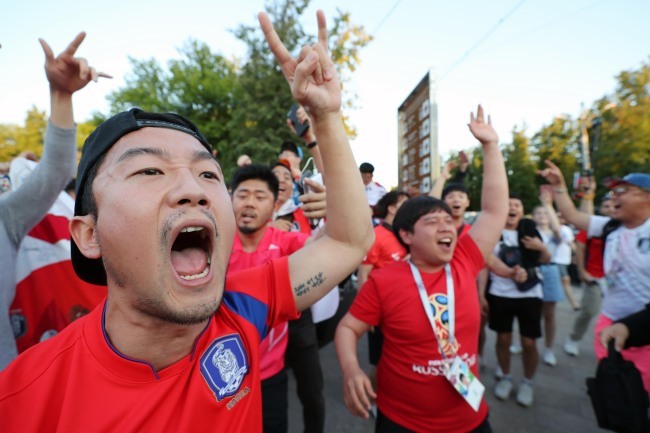 The most significant street cheering event is expected to take place in Gwanghwamun Square, where a 500-inch screen has been installed to livestream the football game. Local media reported about 25,000 national football fans would flock to the spot tonight. A crowd of about bout 5,000 are expected to fill Seoul Plaza, in front of Seoul City Hall, as well. Outdoor viewing parties, including various music performances, will be featured at both Gwanghwamun Square and Seoul Plaza. Football fans in the Gangnam area can gather at Yeongdong-daero between Bongeunsa Station on Subway Line No. 9 and Samsung Station on Subway Line No. 2. Rockband YB, K-pop group EXID and musicians from hip-hop record label AOMG will stage performances to spice up the event. Besides the gatherings, people can enjoy watching the game at an HDC IPark Mall in Yongsan, Daehyun Cultural Park in Shinchon and Garden Five Mall in Songpa-gu. The outdoor cheering events will be held at Suwon World Cup Stadium, Ilsan Cultural Park, Daegu Samsung Lions Park and Gwangju World Cup Stadium.